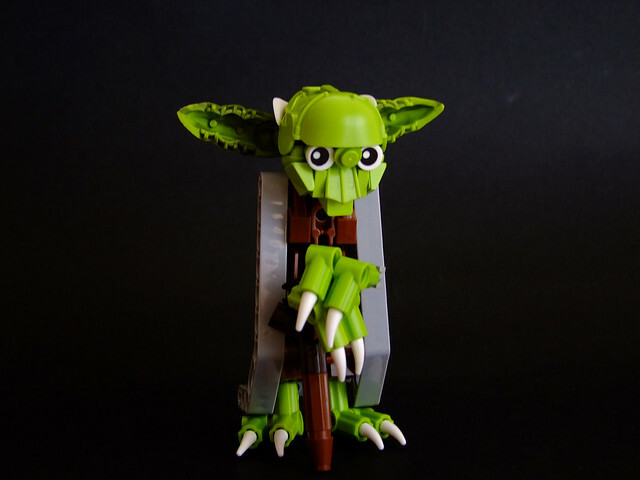 Builder Djokson describes this Yoda as "tablescrappy", I describe it as brilliant. It's a fantastic and clever combination of a small number of unconventional parts. I especially like the pose, he seems to be sizing me up. Which is surprising since size matters not.